A.I.R. 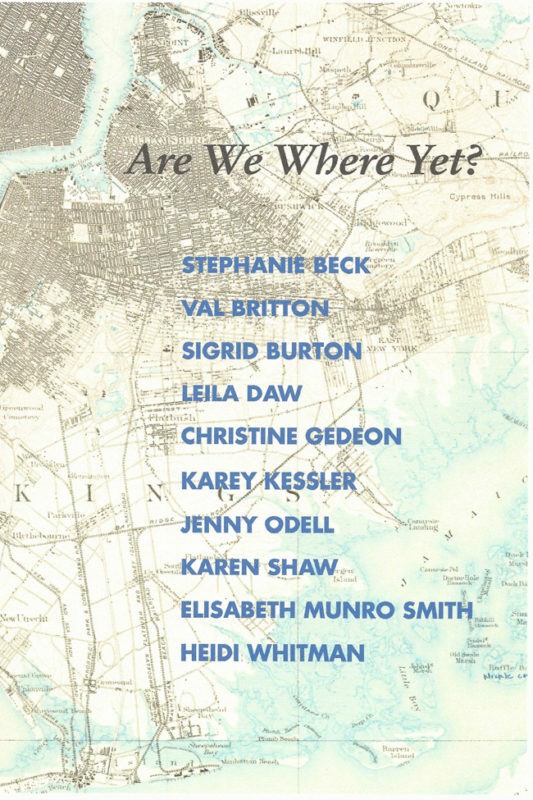 Gallery is pleased to announce Are We Where Yet? 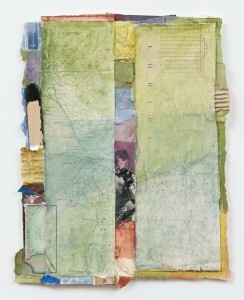 on view from February 7th –March 3rd, 2013. 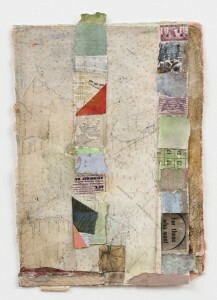 The opening reception will be held on Thursday, February 7th, from 6 – 9pm. Stephanie Beck, Val Britton, Sigrid Burton, Christine Gedeon, Karey Kessler, Jenny Odell, Karen Shaw, Heidi Whitman, and the show’s organizers, Leila Daw and Elisabeth Munro Smith. Together, these artists are exhibiting small works embodying large perspectives. Their artwork spans a wide variety of media, including: painting, drawing, stitching, photography, digital prints, sculpture, collage/assemblage, and works on and of paper. At a time when our environment is increasingly stressed by the now overburdening occupation of our human species, we do well to remember our past and potential future impact on the land. This exhibition will offer “visual bites”, analogous to sound bites, to focus our attention, with both sensitivity and humor, on the search for relevance as well as beauty. As a whole Are We Where Yet? illustrates the diversity of ideas among women artists whose views about our relationship to the Earth and the environment cannot be defined as a single attitude. While some of the work can be seen as having developed from earlier eco-feminist views, other pieces are related to practical issues of city planning, exploration of the conventions of mapping, or visions of the impermanence of human building. As an organization serving the community of women artists, it is fitting for A.I.R. Gallery to exhibit Are We Where Yet?, given the rich history of women artists at the forefront of creating art about interactions with the Earth, beginning with the “second wave” of feminism in the 1970’s, and continuing to the present. Today, the practices of women artists have moved on from the dichotomy of nature as feminine and culture as masculine, to a broader consideration of all aspects of human life on the planet. Among contemporary women artists, there is tendency to view nature and culture as one whole. Are We Where Yet? opens a dialog about the representation of work by women artists addressing a new generation of art about the land. The title of the show, “Are We Where Yet?” references both the theme of orientation and mapping, and the ongoing quest for a greater representation of women artists in the field of environmental art, which they have done so much to develop. A.I.R. Gallery is located at 111 Front Street, #228, in the DUMBO neighborhood of Brooklyn. Gallery hours: Wednesday – Sunday, 11am – 6pm. For directions please see www.airgallery.org. For additional information, please contact Alli Arnold at A.I.R. Gallery at 212-255-6651 or info@airgallery.org.